Meet Freddy. Freddy was scheduled to die in a Mississippi pound on December 27, 2010. That was the day I saved him. For his first 2 years, Freddy lived a life of neglect. When he ended up at the pound, he was scheduled for euthanasia… simply because of his breed. Freddy is a Lab/Pit Bull mix, and due to shelter policy, Pit Bulls and Pit Bull mixes cannot be adopted by the public. Even if a dog is clearly a mixed breed, the slightest Pit characteristics will land a dog on death row. 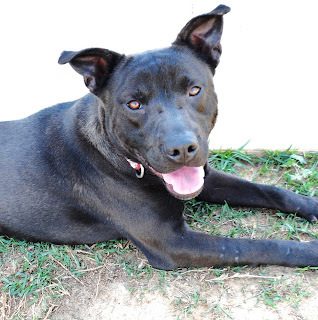 Sadly, Pit Bulls and Bully mixes rarely leave the Mississippi pounds alive. When I arrived for him, Freddy was curled-up in the corner of his cage… afraid and timid. Shelter life will do that to the best of them. But I was immediately struck by the change I saw in Freddy the minute we stepped out the door. This once scared little boy was suddenly a completely different dog. It was like I’d flipped the switch on his life from Dead to Alive… and Freddy knew it. When we got to my car, I said, “You’re going home, buddy!” The smile on his face told me he understood, as he happily jumped right in for the ride. On the way home, Freddy hung his head out the window, tongue flapping in the wind. I was amazed by his happy attitude and trusting nature, despite the fact that we’d just met. Freddy didn’t know me… he had no idea where I was taking him… and he had no reason to trust me whatsoever. But Freddy immediately gave me his trust, his love, and his joy. These are gifts I’ll treasure for as long as I live. Freddy’s best friend in the world is my rescue baby Pepsi, another black mixed breed. Pepsi has lived with me for 2 years, and she was Rudy’s best friend. After Rudy died, Pepsi went through a severe depression that broke my heart to pieces. It was almost like she’d lost her will to live. As soon as they met, Freddy and Pepsi were instant BFFs. I hadn’t seen Pepsi smile that big since before Rudy died, which had been months earlier. As they played, I watched Freddy heal Pepsi, and Pepsi heal Freddy. I cried tears of joy seeing the change in Pepsi’s heart… it was truly one of the most touching things I’ve ever witnessed. At that moment, I looked up to the sky and said a special “thank you” to Rudy… because that’s when I realized that he’d sent Freddy to heal his best friend's heart. But Freddy is a “Mama’s boy,” and honestly… if I’m around, he usually doesn’t care about anything else. He’s so funny about it too… he’ll do just about anything to be right by my side. One of Freddy’s favorite things to do is to crawl out from under the fence. But he doesn’t do this to run away… oh no. Freddy crawls under the fence, and then runs around the side of the building to see what I’m doing. My kennel-cleaning activity is usually pretty boring, but he likes to watch me anyway. When I lead him back to the yard, Pepsi’s always waiting there at the gate like, “Um… hellooo??? Way to put a damper on playtime, buddy.” So, I put him in the fence and they’re back to playing, until Freddy comes to find me again. Freddy also had a temporary fixation with peeing in his water bowl. Now… when I say this, I don’t mean that Freddy peed near the bowl or beside the bowl… and there was no “accident” here. He’d look at the bowl, lift his leg, adjust his aim, and pee directly into the water. Then, he’d turn around and go to take a sip, with a look of disgust on his face like, “Yeah… I’m not drinking that.” His sweet little punk eyes would look to me like, “Mommm, can you fix this? ?” So, I’d refill the water, watch him take a sip, and then lift his leg and pee in it again. This would go on all day, and while I was pretty impressed by it, I’m so freaking thankful that we finally resolved that issue. 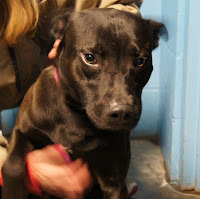 Freddy is a 2 year old, black, Lab/Pit Bull mix. He lives with me at Lucky Dog Rescue in Meridian, Mississippi. Freddy is neutered, fully vaccinated, and heartworm negative. Despite his past, he has the most amazing happy-go-lucky disposition. Freddy loves people, dogs, and car rides. He loves yards for running, toys for playing, and bones for chewing. He loves special kisses, loving hugs, and good old fashioned belly rubs. He loves his best friend Pepsi, and she loves him. My secret wish is that they could be adopted together… but I realize that some wishes just don’t come true. But, most of all… Freddy loves me… and he will LOVE YOU too. Freddy’s been waiting all his life to have a loving family of his own. He just needs someone to give him the chance to show he’s special. Until now, no one has ever wanted my Freddy. But I’m praying that today… maybe the right someone will read this… and make his dreams come true. Please, I am begging you… help me give that to him. CLICK HERE TO FILL OUT ONLINE ADOPTION APPLICATION FOR FREDDY! He is an amazing Pup and he deserves an amazing home. RESCUE DOGS IN BAD CONDITIONS, REABILITAN AND THEN IF YOU DO NOT ADOPT THE Manader TO KILL?? HOW IS THAT?? Instead of waiting to adopt them give only a limited time ONLY LIFE?? Graciela, what in the WORLD are you even talking about?? I do not kill my animals! If I understand your comment, which is hard to do since it doesn't make any sense, it seems that you think I kill my dogs. Which is the most ridiculous thing I've ever heard. Did you even READ this post??? My dream, one day, is to have a rescue facility!! I love animals so much and, really, I would take them ALL! I just saved a 10 week old kitten that had his little whiskers burnt off, was thrown against walls, and was forced to inhale smoke from marijuana, among other things. I live in an apartment and have sneaked my cat in -because, of course, I'm not allowed to have animals. My heart breaks to see these poor babies live life like this. The work you do is amazing and you will definitely be rewarded for it! The purpose of a rescue organization is to rescue, rehab and then find a forever home. Once a dog finds a forever home, that makes room for another rescue animal. Rescues don't kill the animals. I so admire you and your work! I love the video Ashley.They truly are best friends, and it would be so good if they were adopted together :). Graciela, Please read Ashleys posts before commenting. She may be one of the most kindest , loving people you will ever meet in your life. She rescues animals, that nobody else wants, or loves. She takes them in, and gives them the affection,health care, food, toys, treats, that they have never experienced in their poor sad little lives. She reaches out to others trying to find homes for these babies. Sorry about the rant, just had to defend you Ashley. What in hell did the person who thinks you kill dogs even say? Who is the Manader and why are you not adopting he/she/it,LMAO! Sometimes you just have to laugh at the stupidity of people! That confused lady made me laugh.. But anyway. Freddy is SUPER AWESOME! He really is a sweetheart. He shakes my hand everyday I come to the rescue to volunteer. And I can't believe no one has had interest in him. He is gorgeous. He may be an escape artist but he would never run away. 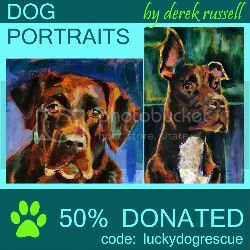 He loves Lucky Dog Rescue but he would love a FOREVER HOME more! I vote this as my favorite blog post! Love you Ashley! I like Mary Haynor's post. Would love to see Pepsi & Freddy go to a forever home together! Have been following both of them & have come to love them. Thank you for all you do for them Ashley. The hardest and best thing for you must be when your babies find a forever home. They've become your family, and I can't imagine seeing a dog leave... forever. I don't know how you do what you do, but I give you so much credit. We need more people in this world like you. 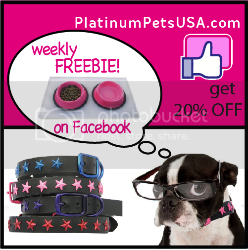 Thanks for your commitment and love for animals! I've had two black lab/pit foster dogs and I fell in love with both of them. They are smart and loving, with just a hint of naughty thrown in for entertainment value. Everyone that meets them, loves them. They are great companions, and far from being 'just another black dog.' Best of luck to Pepsi and Freddy! Their forever homes are out there! Hey Ashley, I really enjoyed this blog! I wish you would post more videos of your rescue pups, it really shows their awesome personalities! I used to live on a 17 acre farm and if my mother hadn't passed and I hadn't gotten sick I would still be there now! I say this because of 2 reasons...the first is because of Ashley's "Change of Perspective" blog & I realize that things are very bad right now BUT that I have to find the HOPE I once had! And the second reason is because I would have taken both Freddy and Pepsi in half a heartbeat! I have rescued over 200 dogs in my lifetime and would have loved to have given these 2 a FUREVER home! In changing my life from wealth and good health to neither one...I can not...and it just breaks my heart! I will keep praying that all our perspectives and lives change so we can all have our dreams/hopes come true! (Sorry everyone for my rantings!) 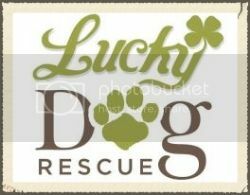 LOVE TO YOU...FREDDY, PEPSI, ASHLEY, & ALL OTHER "LUCKY" DOGS!!! XoXoXo! I read through this blog, and the facebook application site, during slow work time, and frequently have to go wipe my eyes dry. I'm a couple years older than you Ashley, but I aspire to be like you when I grow up. Your open heart, and generosity inspire more than I think you can possibly know. I sit at work, in a double row of open cubicles, and frequently, my co-workers and I spend time going through all the blog stories, and dogs that need desperate advocation, and every one of us is amazed at what you do. Although my living circumstances don't currently allow for another dog, Freddy, his story, and the personality you can see in his face has stolen a special place in my heart. The work you do is amazing, keep it up. Karma has a way of coming back around in positive ways for special people like you. I'll continue to be inspired by what you accomplish, and I'll continue to hope for Freddy, and the other dogs still searching for their forever family, that they may find their perfect fit. Every living thing deserves a place in the world, thank you for helping so many lost souls find theirs!